Dr Jacqueline Millner, photographed in front of artwork by creative arts student David Hawley. La Trobe University’s Bendigo Campus is bucking the trend for creative arts courses, welcoming a new Associate Professor to head its recently-renewed program. Academic and author Dr Jacqueline Millner is fresh from the University of Sydney where she was Associate Professor of Art History and Theory at Sydney College of the Arts in the visual arts faculty. She says although the Bendigo move may be seen as a tree change, it was also a step to further her career, given La Trobe’s recent investment in its creative arts course. 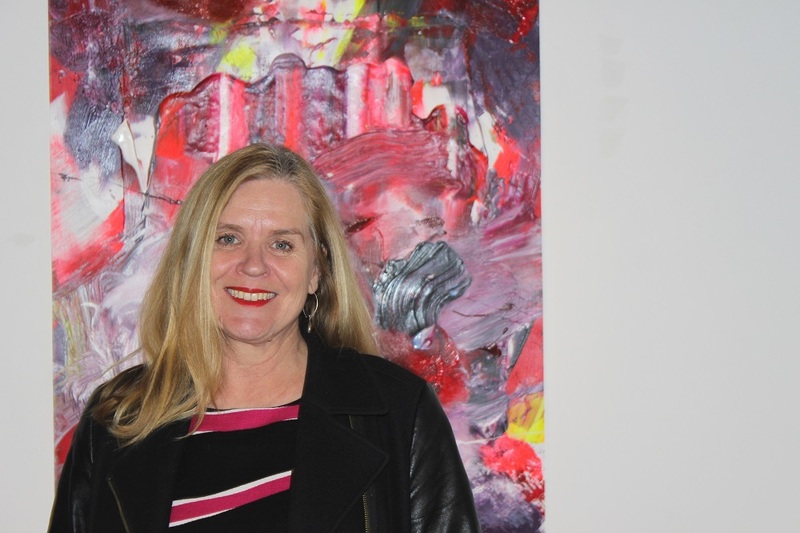 Dr Millner says she was already familiar with Bendigo’s strong and growing cultural scene, through the Bendigo Art Gallery’s high-profile exhibitions and the La Trobe Art Institute in View Street. From her first week in the role Dr Millner says she was impressed by the facilities for students on the Bendigo campus and was looking forward to opening those up to the community. Plans for 2018 include attracting high-profile artists to use those facilities to run community masterclasses. Dr Millner says next year will also be an exciting time for creative arts students in Bendigo, with the university’s new Bachelor of Creative Arts course being one-year into practice.